Converted from a garage, Mellow Mushroom has transformed (literally) into a fun place to eat with a quirky garage themed atmosphere. With live music on some weekends, great food, such as pizza, itallian dishes and well as a basic variety dishes, and cool atmosphere, you can be as comfortable with a group of friends as you can with a family while dining out. 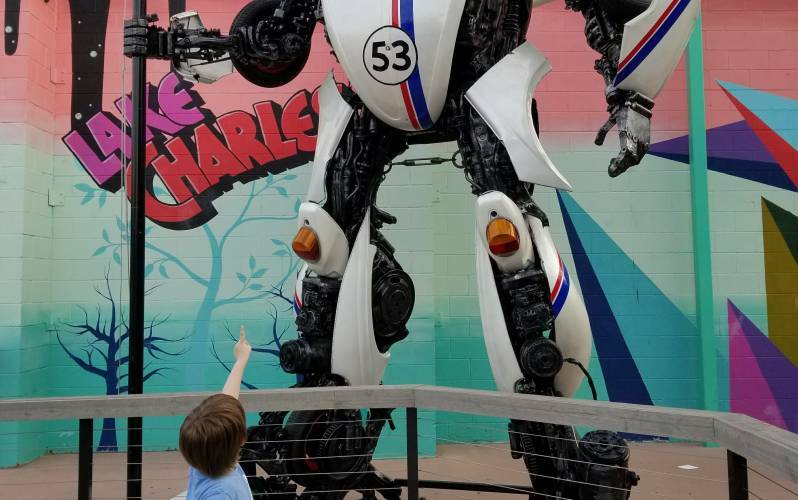 Did we mention you can get a great photo op with Herbie the Transformer?